Inspiration - Ghost Fishing UK - The first four years. Over the winter, Rich Walker, one of the divers on the 2015 project, gave a series of talks and meetings around the country and identified a group of UK divers that were keen to engage in the Ghost Fishing mission. These divers were invited to come to Scapa Flow in 2016. Bob Anderson of MV Halton supported the project, and World Animal Protection donated a significant portion of the funding. The divers were taught how to survey and recover ghost fishing gear and also how to perform simple marine life assessments. Representatives from Cornwall, Bristol and Norfolk joined the project, along with the existing team from 2015. The Scapa Flow project was a flagship event and Ghost Fishing UK are actively training new divers on the ‘Ghost Fishing course’ created in early 2018. Groups of regional divers are now active in responding to reports of Ghost Gear and setting up local projects to remove it. Ghost Fishing UK began in Orkney in 2015. A band of British divers joined a team from the Netherlands to be trained in the art and science of ghost gear removal. The team grew, and returned four times to Scapa Flow. Ninety-nine years on from the scuttling of the German High Seas Fleet, Ghost Fishing UK announced that all the actively fishing ghost gear was gone from Scapa Flow. Humbled by this milestone, we reflect on what has been achieved so far, and look forward to the work we must do in the years to come. 2018 was a busy year for Ghost Fishing UK, with many milestones. We cleaned up Scapa Flow! We became Registered UK Charity Number 1174396! We reached out to the public at 25 talks and events. We are dependent on volunteers working together to tackle the ghost gear problem. We were delighted to announce last year that Healthy Seas has pledged funding that will enable at least ten more diving days to be completed in 2019. The recovered fishing nets will be regenerated, together with other nylon waste, by Aquafil into ECONYL® yarn, a high-quality raw material used to create beautiful new products, such as socks, swimwear, sportwear and carpets. 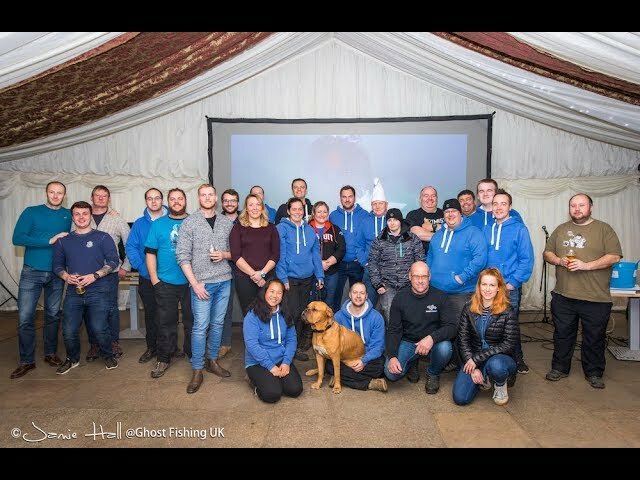 Ghost Fishing UK has always worked very closely with our friends from Healthy Seas, and they joined us in Scapa Flow in 2015 to help us get Ghost Fishing UK up and running, and also on our incredible clean-up of the Plymouth wrecks James Eagan Layne in 2017, and Persier in 2018. Sign up for our newsletter, and like us on Facebook, to keep in touch, and for notifications of opportunities to help support our mission.